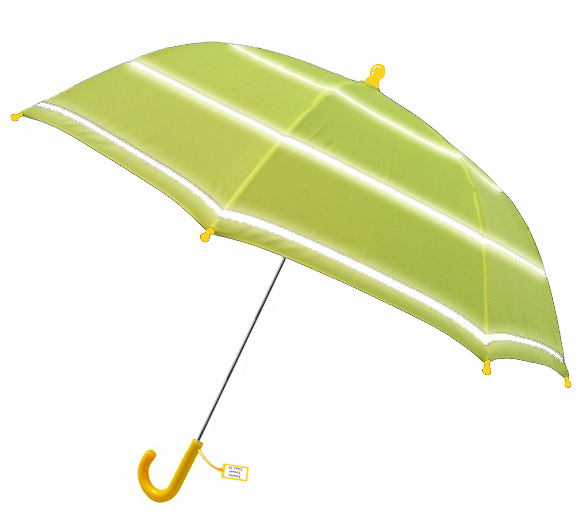 This amazing children’s hi vis umbrella is the ultimate in children’s hi vis umbrellas. Kids love umbrellas, especially ones which they can carry like a backpack and play sword fighting on the way to school. 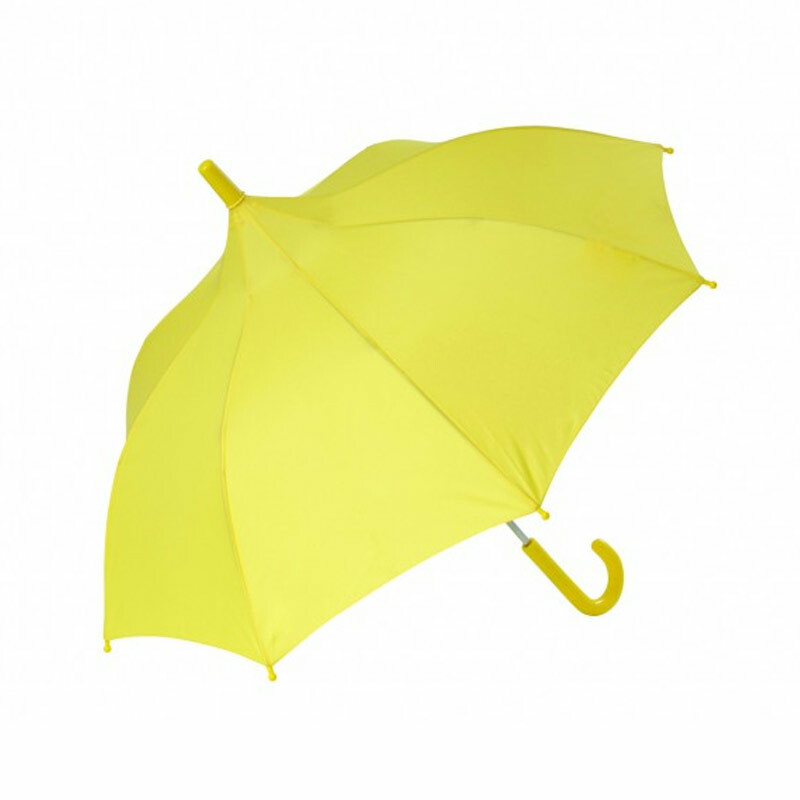 If you’re a parent or grandparent then this kids hi viz umbrella makes a thoughtful gift. 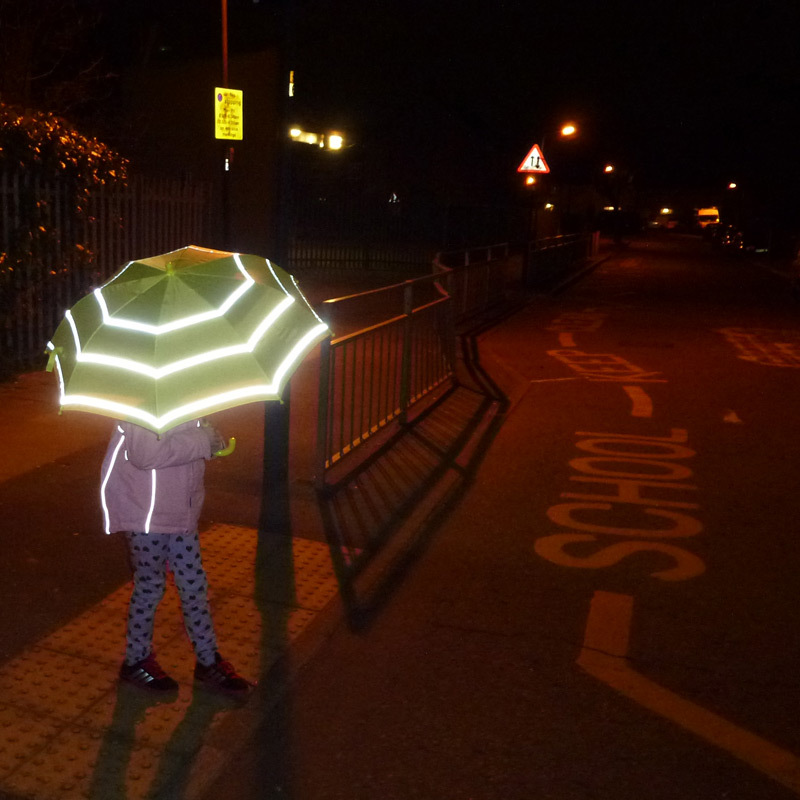 Our child-safe Children’s Hi-Viz Umbrella has been specifically designed to maximize it’s visibility from all angles and make it easier for other road users to spot children when they’re out and about – particularly on those dark mornings and dull winter afternoons. 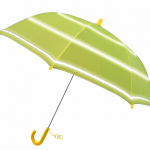 With our specially designed kids hi viz umbrella, there are three reflective stripes around the fluorescent yellow canopy ensuring this umbrella is hard to miss. In addition there are more reflective stripes on the carry-sleeve and shoulder straps. If it’s not raining, when children carry the umbrella on their back, they will still show up clearly, from both front and back. Take a look at the following picture of the children’s hi viz umbrella being carried and you’ll see just how effective it really is. Be seen. Be safe. Children’s Hi Vis Road Safety Umbrella. The kids hi vis umbrella uses a “Child-Safe” mechanism for easy opening and closing which avoids the chance of trapping little fingers. The spoke ends and canopy tip are rounded to help make an umbrella that’s safe for little people to handle. The umbrella has a useful name-tag attached to the handle. It’s light, easy to carry, weighs just 300g (10oz), 67cm long, opening to provide a canopy 82cm across. This umbrella is absolutely the right thing to get your kids for the later months when darker days draw in. I bought a whole load of them as a gift to our local school. Seriously, your kid won’t go unseen in the dark with one of these. A simple idea but sometimes the simple ideas are best.